Beaverton Plumbing prides itself on being one of the few plumbing contractors in the area set up to handle Commercial, Residential Remodel and Service work. By being able to offer all these services we can address any plumbing problem. We take pride in our customer service. We strive to deliver prompt, accurate quality work with the utmost respect for you and your home. You can count on us to provide service to you with courtesy, attention and friendliness. Our journeymen are highly skilled and very knowledgeable in the work they do and our experienced supervisors are committed to maintaining our reputation for quality. 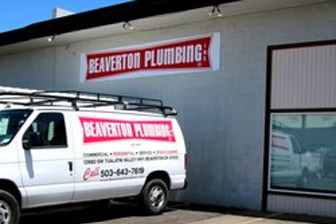 Over the years Beaverton Plumbing has built a reputation for quality work and dependable service.